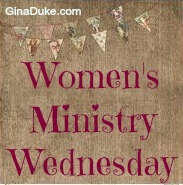 Welcome to Women’s Ministry Wednesday! 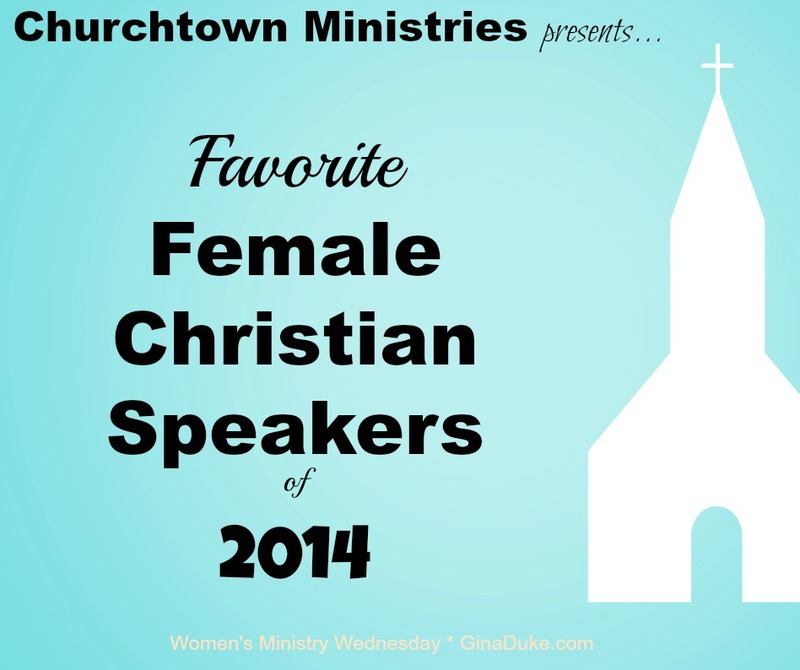 As a leader of women’s ministry, I know how important it is to choose good speakers for women’s gatherings. This year I heard some really good speakers from several women’s conferences, and several really stood out to me. I thought I would highlight my personal favorites for you to reference the next time you plan a women’s conference, simulcast or get-away. Some will be familiar to you and some may be new. I have heard Priscilla speak before and have taken some of her Bible studies, too. This year I heard her speak again at Lifeway’s Women’s Leadership Forum for women’s ministry leaders. Because I love expository teaching of God’s Word and a good sense of humor, I greatly enjoyed her. I highly recommend her for your conference, simulcast, or for a women’s get-away if she is speaking somewhere nearby. A few years ago, I loaded up my ladies and we drove 2 hours to hear her speak one weekend. It was well worth the trip! Visit her here. I have had the privilege of hearing Lysa speak several times, and this year I heard her speak at both a women’s conference and at the Proverbs 31 Ministries’ She Speaks writers/speakers conference. She is excellent, to say the least. Lysa has a great gift for leaving you with profound sticky statements that stick with you long after her message comes to a close. Lysa was the first speaker we used for our very first women’s conference, and we could not have chosen anyone better. Her contractual obligations were so detailed and specific that it provided an excellent guideline for creating a successful conference. This conference was a large undertaking for us, so her contract and assistant were extremely helpful. She even invited our women’s ministry team to have lunch with her, which was a real treat. Book her here. This year was the first time that I got to hear Lynn speak, and it was at the opening session of She Speaks. One word – WOW! Her message was point-on perfect! Meet her here. Kelly has also been a speaker at one of our women’s conferences. We have done all of her studies, too. Kelly has a unique communication style that is very girlfriend-friendly and funny. This year I heard her speak at Lifeway’s Women’s Leadership, and became excited about her all over again. Check her out here. LeeAnna came out of nowhere for me. I had not heard of her until I attended Allume where she was one of the keynote speakers. I found her to be tremendously funny; she is borderline Christian comedian. And she says things about motherhood that most of us think, but would never say. They say a sense of humor makes a good speaker, and that would be true of this gal. Learn more about her here. This year was the first time I got to hear Christine Caine speak in person and I was pretty excited! She did not disappoint, as she spoke very boldly. I heard her at She Speaks, and believe me, she checked our motives, yes she did! 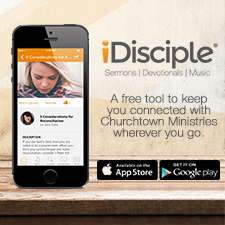 Christine is a refreshing straight-shooter of the gospel. You probably cannot book her for your event, but she is worth checking out when speaking locally. See her here. I love Whitney Capps! I appreciate her sense of humor and the way she imparts biblical truths. I have heard her speak twice at She Speaks, and each time I have left longing to hear her again and again! Visit her here. Sophie is also new to me, I am sorry to say. I heard her speak at the Allume bloggers conference. What I found refreshing about her was that she was not only extremely funny, but she was also seriously committed to God’s Word and precepts. I enjoyed her and recommend her. Check out this BooMama here. Wasn’t this fun? It was for me! I hope to make this an annual feature at Churchtown Ministries. Praying God’s best for you and your women’s ministry in the New Year! I appreciate this post, actually I want to bookmark it, because I’d like to visit all the links you suggested and get to know the speakers I have not read from and be reacquainted with those I have. I have been able to start speaking at some conferences in the last few years and I love being able to encourage others. It is a little daunting becuase I want to be able to reach everyone in the audience but I know that ultimately it is the heart of the Father who needs to touch the hearts in the seats and when I prepare with that in mind it always brings life sustaining words. I agree with the first two so I have a feeling that I will appreciate the other speakers…I bookmarked this so I could listen in to each one. I love listening to podcasts while I clean the house. 🙂 Thanks for writing this post Gina. So many wonderful speakers for which I am grateful. And authors as well. Wonderful list compiled all in one place for us. Thank you! What a great list…I agree! Thanks for sharing! I chose your post from the Fellowship Friday blog hop because I wondered what criteria one might have to meet to make your list. A dream of mine is to be a writer/speaker at this level. I have never been to a conference for bloggers, writers, or speakers, but am considering She Speaks after hearing about it for the first time last week. Imagine my surprise, or was it confirmation, when I read through your list. I’m not certain I can “afford” this conference, but now I have even more motivation to make a plan and make it happen.